Sometimes the most dangerous things aren’t the things you can see but those you can’t. Carbon monoxide (or CO) is one of them. CO is a deadly gas that kills almost 500 people per year and causes about 50,000 emergency room visits. To put this in perspective, CO kills more Americans than terrorism and mass shootings, combined. If there’s a CO leak in your home, it could spell tragedy for you and your family. CO detectors and CO monitors, devices that gauge your home’s CO levels, can protect you from this stealthy killer. What’s the difference between the two? First, let’s take a look at CO itself. According to a study by the Centers for Disease Control and Prevention, January always has more CO-related deaths than any other month. The majority of these deaths happen in some of our coldest states: Alaska, Montana, Wyoming, North Dakota and Michigan. Cold weather ramps up use of gas furnaces and the possibility of a dangerous leak. Indoor use of propane grills, portable generators and charcoal briquettes also courts disaster. This is especially dangerous at high altitudes, where the risk of CO poisoning rises. Today’s strict building codes also contribute to an elevated CO risk. Houses and their duct systems are so tightly sealed that the air changes per hour in modern houses are very, very small, so there’s more likelihood of getting poisoned quickly. At Progressive Air Systems, we know that time is of the essence when preventing CO poisoning, and we’ll immediately take action to make sure you’re protected. What is the Difference Between CO and Carbon Dioxide? CO and carbon dioxide (CO2) are often confused with each other because their names are almost identical. Both also lack color, odor and taste. Other than that, they have nothing in common. CO comes from anything that burns fossil fuel (natural gas, oil, wood and coal). It’s highly toxic. On the other hand, CO2 is released when people and animals exhale. Plants then transform this carbon dioxide into the oxygen that supports life on earth. This process is called photosynthesis. Carbon dioxide is one of the most common compounds in the world. How Can CO Poisoning be Prevented? How do you fight something that you can’t see? Or hear? Or smell? Or taste? Is it even possible? Yes, it is, with a CO monitor or a CO detector. These are devices that alert you to the presence of CO. Find out how each can protect you from CO in your home. What is the Difference Between a CO Monitor and a CO Detector? Monitor duration — A CO monitor continuously tracks the air’s CO composition and provides a digital readout. Detector duration — A detector takes a reading several times an hour. Monitor sensitivity — Since the monitor is constantly tracking air quality, it can detect lower-level CO amounts that might harm those with less CO tolerance, such as seniors, pregnant women, infants and pets. Monitors sound an alarm before a CO detector would. Detector sensitivity — Detectors will go off when exposed to higher levels of CO than those that would set off a CO monitor. Monitor placement — A CO monitor can be situated at any level on your walls, as long as it’s near the bedrooms. It can also be placed on your nightstand or dresser. You can take it with you when you travel too. Detector placement — By code, CO detectors have to be hardwired onto the ceiling. 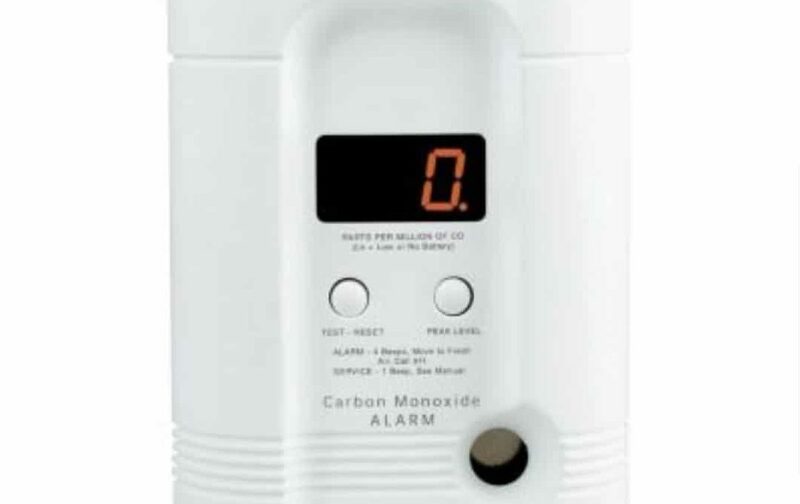 Don’t ignore a CO monitor or CO detector if it is sounding. Leave your home immediately, get in fresh air and call 911. The best solution, though, is prevention of hazardous CO conditions in the first place. Progressive Air Systems, proudly serving the Tampa Bay area since 1985, can inspect your HVAC system and nip any potential CO issues in the bud. Our mission is to keep you and your family safe. Please give us a call and we’ll be happy to ensure that you’re protected from the dangers of carbon monoxide.